With all that in mind this article by Sayer Ji, Founder from 2012 made perfect sense to me and its how I would explain cancer. Ever since Richard Nixon declared a war on cancer in 1971 through the signing of the National Cancer Act,[i] over a hundred billion dollars has been spent by our government on research and drug development in an attempt to eradicate the disease, with trillions more spent by the cancer patients themselves, but with disappointing results. Even after four decades of waging full-scale conventional (surgery and chemo) and nuclear (radiotherapy) war against cancer, close to one in every four Americans will be diagnosed with the disease within their lifetimes. Could this colossal failure reflect how profoundly misunderstood the condition is, and misguided are our attempts to prevent and treat it? The time has come to shift the conceptual framework away from the idea that cancer is something bad that happens to the body, to something the body does in order to survive vis-à-vis an increasingly toxic and nutrient-deprived environment. Only then we will begin to unravel the mystery behind the colossal failure of the conventional medical system and why the ‘war against cancer’ will only be successful when we embrace our enemy with greater compassion and understanding, instead of blasting it (and ourselves) into oblivion. For the past half century, the “Mutational Theory” has provided the prevailing explanation for the cause of most cancers, where, as the story goes, accumulated mutations to the DNA within the nucleus of our cells lead some to “go berserk,” their “insane” behavior a result of multiple destructive events to the intelligent code within the cell (DNA) that keep them acting in a ‘civilized’ manner relative to the larger bodily whole. Cancer is derived from a single somatic cell that has accumulated multiple DNA mutations. Cancer is a disease of cell proliferation caused by mutations in genes that control proliferation and the cell cycle. The problem with this view is that over 100 cancer-promoting genes (oncogenes) have already been discovered nested deep within our genome – hardly a byproduct of chance mutation within individual cells. Proliferation may very well be the default state of all cells, and much of the behavior of healthy, well-differentiated cells in higher animals is a regulatory overlay (suppressing ancient genes) on top of a far more ancient program which becomes unmasked during carcinogenesis. Cancer, therefore, may be an “evolutionary throwback” to a time before we became multicellular organisms and a more rudimentary type of cooperation between cells existed (i.e. tumor) which enabled them to survive in a dramatically different, and perhaps far harsher environment. Cancer cells are, in fact, surprisingly well-coordinated for cells that are supposed to be the result of strictly random mutation. They are capable of building their own blood supply (angiogenesis), are able to defend themselves by silencing cancer-suppression genes, secreting corrosive enzymes to move freely throughout the body, alter their metabolism to live in low oxygen and acidic environments, and know how to remove their own surface-receptor proteins to escape detection by white blood cells. These complex behaviors, which involve the type of cooperation between cells which is the very definition of Metazoan behavior (multicellularity, i.e. animal life), call into question the view that mutation within ‘rogue cells’ is the primary cause of cancer. What if cancer was the unmasking of a more ancient survival program within the cell, activated as a last ditch effort to survive an increasingly hostile bodily environment, saturated through with carcinogenic and immunotoxic agents? There is plenty of evidence to support this view. For instance, in the pre-Metazoan era, at the base of the “Tree of Life,” programmed cell death (apoptosis) – a form of cell suicide — which is necessary to produce highly differentiated tissues within complex multicellular organisms, had not yet developed; especially since just surviving the harsh environment would have favored selecting for traits that resisted cell death, i.e. immortalization, as is characteristic of cancer cells. The inability of cancer cells to undergo apoptosis indicates that the cell is drawing from a genetic toolkit associated with a more ancient cellular incarnation…. In other words, cancer is not some predestined gene-time bomb setting itself off within us, rather, is the logical result of decades worth of cell shock/damage/adaptation to environmental poisoning, nutrient deprivation and psycho-spiritual and/or emotional stress? These cells have learned to survive the constant abuse, and have flipped into survival mode, which is self-centered, hyper-proliferative (constant self-repair/replication) and aggressive (metastatic). Instead of a monolithic “disease,” it makes more sense to view cancer as a symptom of a bodily milieu gone awry; in other words, the environment of the cell has become inhospitable to normal cell function, and in order to survive, the cell undergoes profound genetic changes associated with the cancerous personality ( phenotype). This “ecological” view puts the center of focus back on the preventable and treatable causes of the “disease,” rather on some vague and out-dated concept of “defective genes” beyond our ability influence directly. It also explains how the “disease” process may conceal an inherent logic, if not also healing impulse, insofar as it is an attempt of the body to find balance and survive in inherently unbalanced and dangerous conditions. The genes of cellular cooperation that evolved with multicellularity about a billion years ago are the same genes that malfunction to cause cancer. We hypothesize that cancer is an atavistic condition that occurs when genetic or epigenetic malfunction unlocks an ancient ‘toolkit’ of pre-existing adaptations, re-establishing the dominance of an earlier layer of genes that controlled loose-knit colonies of only partially differentiated cells, similar to tumors. The existence of such a toolkit implies that the progress of the neoplasm in the host organism differs distinctively from normal Darwinian evolution. The reference here to “Darwinian” evolution is another way of talking about the Mutation Theory of cancer. If cancer is a byproduct of a series of random mutations that “naturally select” for a strong cancerous phenotype, there would be no “cancer toolkit” already embedded deep within the cell’s ancestral genetic code. Rather than view cancer as “begun anew” in each case, a byproduct of natural selection or ‘internal Darwinism,’ a more likely explanation is that it is unmasked each and every time the genetic damage and epigenetic alterations to the cell get bad enough to compel the cell to access ancestral genetic survival programs, and as a result “go medieval” on the body. In other words, carcinogenesis is here seen as a process of de-speciation, a radical lack of differentiation back towards the ancestral proto-cell. If this is true, given the right (or wrong) conditions, normal cells may regress to a more primitive, far more individualistic cell phenotype in an attempt to survive (if not thrive) within the biochemical/bioenergetic adversities characteristic of the sickened, cancer-prone body. This new view may shed light on why chemotherapy and radiotherapy have such dismal track records. Tumors often contain a mixture of both highly malignant and benign cell populations. The treatment may destroy the benign cells, releasing the “chemoresistant” and “radioresistant” populations to wreak havoc on the body of the patient. Often treatment failure is attributed to the “treatment resistant” nature of the cancer, when it is a direct result of the inherent toxicity and lack of effectiveness of the therapy being used. In the same way that antibiotics like methicilin have spawned “super germs” like MRSA (Methicillin-Resistant Staphylococcus Aureus), conventional cancer treatment is often responsible for generating greater resistance and subsequent malignancy within certain tumor populations. 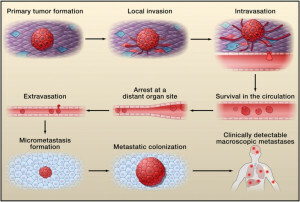 If the transformation of a healthy cell into a cancerous one is caused by acute and chronic exposures to xenobiotic chemicals, as well as nutrient deficiencies, the use of many conventional anti-cancer drugs actually ads fuel on the fire, forcing those cells to regress further back into their ancestral genetic tool-kits for the means to survive the onslaught. Do we blame the cells for responding in this manner, or do we acknowledge the failure of conventional treatment methods?